At 3:38 on the afternoon of April 19, 1890, Albert Johnson was on top of the world. When Boston�s Matt Kilroy threw the first pitch to Brooklyn leftfielder Emmet Seery, a revolution in American sports began. 1 The thirty-year-old Johnson, who had spent his working life making a fortune in street railway lines in Louisville, Cleveland and Brooklyn, had been the leading financier of the Players� League (PL). The PL, whose teams were stocked with stars from National League (NL) and American Association (AA) teams, was being run on a co-operative basis, in which players would be co-owners of their teams and would share in the profits of the league. Johnson must have been proud on this Opening Day, especially when he saw the receipts, which showed that the PL greatly outdrew the other two major leagues. Opening Day 1890 was the high point in Johnson�s career as a baseball man. While many savvy baseball fans recognize the name of John Montgomery Ward (the player most responsible for organizing the league), few today know anything about Al Johnson. A century later, it is time to rescue him from obscurity, and remind baseball fans of his contributions to the game. At 6�1�, and over 200 pounds, Albert Johnson was a sporting enthusiast, and a follower of baseball. 10 Besides harboring a love of the sport, he could not have failed to notice that thousands of spectators traveled to ballparks on streetcar lines in the various cities of the National League and American Association. In Cleveland, a friendly competitor in the street railway business was Frank Robison, who owned the National League Spiders. 11 In his late twenties, flush with an astronomical fortune and looking for new challenges, Albert Johnson was in the right place at the right time to try to recreate the business model of professional sports. Financially, all three Leagues failed to make a profit, with estimated losses in the National League ranging anywhere between $300,000 and $500,000. The Players' League suffered an operational loss of approximately $125,000. 33 The Sporting News estimated the losses of both Cleveland franchises at over $50,000. 34 The American Association was even worse off; in addition to the bankruptcy of the Philadelphia ballclub, the Brooklyn AA team also went under, and finished the last month of the season in Baltimore. Overall, the Brotherhood War adversely affected every outpost of big-league baseball. However, as impetus for a settlement grew, the Players' League seemed to be the circuit least hurt during the season, and by virtue of its control over the game's star players, was in the best position to come out of the peace talks unscathed. 35 Unfortunately, as events transpired, the Players' League, having won the war, proceeded to lose the peace. In October 1890, the Players' League was in a dominant position. In less than one year from its' first public declaration the PL had built eight stadiums, signed the leading players of the day, won court decisions invalidating the NL contract, produced an exciting season, and outdrew the venerable National League. Plans were already in high gear for the 1891 Players' League season, and as The Sporting News noted, "With all due respect, the Players' League is a pretty healthy yearling." 36 However, within a month the war was over, and the PL was dissolved. The demise of the Players� League came rather suddenly, and for the first time, Albert Johnson was left on the outside, instead of being the center of the movement. Al Johnson�s association with the national game has carried with it dignity and honor. His love of base ball has cost him thousands of dollars, and his manly action and nobility of purpose in sacrificing his money and his valuable time will always be to his credit. He entered the Players� National League firm in the conviction that the cause he espoused was right and just. He made a gallant fight in furtherance of its interests and now that the cupidity of one or two of his associates has precipitated the developments of the past few weeks, he is the last to forsake the organization. Though Al Johnson�s services to baseball have been covered by the shifting sands of time, he brought a sense of crusading idealism to the sport at the height of the Gilded Age. Only two years before National League owners formed �The Big League�, a cartel operated more for owner�s profits than to benefit fans in NL cities, Johnson helped spearhead a movement that would have treated players as skilled entrepreneurs, instead of unskilled labor. Perhaps na�ve, Johnson�s loyalty, dedication and respect for the athletes ran counter to the trend of his time, although in keeping with his family�s tradition of honoring the common laborer. This made Al Johnson an uncommon man for his time, and one worthy of being remembered for his contribution to the sport of baseball. ��Twas A Beauty� Boston Daily Globe; Apr 20, 1890; ProQuest Historical Newspapers Boston Globe (1872 - 1923) 4. Tom L. Johnson, My Story, ed. Elizabeth J. Hauser (1911) 6. Accessed online http://clevelandmemory.org/ebooks/johnson/index.html. Johnson, My Story 14. Johnson soon came to hold many patents, including those covering the making of the rails themselves. Eventually he came to own a steel mill at Johnstown, PA where rails were manufactured. The mill was damaged in the disastrous flood at Johnstown in 1889. John F. Kasson Amusing The Million: Coney Island At the Turn Of the Century (New York: Hill & Wang, 1978), 7. Al. Johnson Wins a Race. The Washington Post (1877-1954); Jun 8, 1890; ProQuest Historical Newspapers The Washington Post (1877 - 1990 pg. 14. �Affairs in Cleveland� The Sporting News November 15, 1890. John Montgomery Ward, Baseball: How To Become a Player (Cleveland: Society For American Baseball Research, 1993), 32; Tim Keefe "The Brotherhood and It's Work" Players' National League Guide (Chicago: W.J. Jefferson, 1890), 7. John Montgomery Ward �Is The Base Ball Player A Chattel?� Lippincott�s August, 1887. (http://xroads.virginia.edu/~HYPER/INCORP/baseball/wardtext.html). John M. Ward �The Players� National League� 1890 Players� National League Base Ball Guide (Chicago: F.H. Brunell, 1890), 5. �A Double Headed President� The Sporting News October 19, 1890. �Tom Johnson Dead�Made Millions in Business, But Fought On the Side of the People� Boston Daily Globe (1872-1922); Apr 11, 1911; ProQuest Historical Newspapers Boston Globe (1872 - 1923) 1. "The Brotherhood" The Sporting News September 21, 1889. �The Season of Baseball� New York Times (1857-Current file); Apr 20, 1890; ProQuest Historical Newspapers The New York Times (1851 - 2003) 3. "Caught on the Fly" The Sporting News April 26, 1890. Albert Spalding, Base Ball: America�s National Game, ed. Samm Coombs and Bob West (San Francisco: Halo, 1991), 179-181. �Rumors of a Deal At St. Louis�. 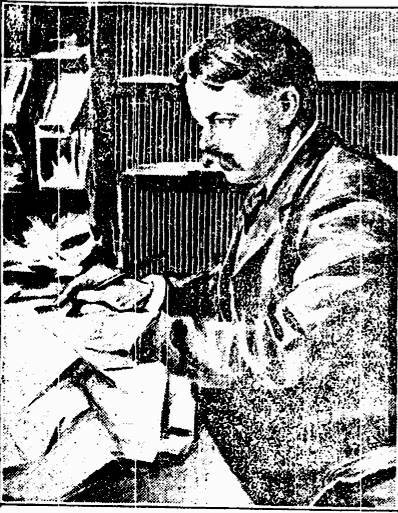 Chicago Daily Tribune (1872-1963); May 16, 1890; ProQuest Historical Newspapers Chicago Tribune (1849 - 1985) 2. �The Latest News-Players and Association Men in Session� The Sporting News September 6, 1890. David Q. Voigt, American Baseball: From Gentleman's Sport to the Commissioner System (Norman: University of Oklahoma, 1966), 166; Harold Seymour, Baseball: The Early Years (New York :Oxford, 1960), 238. "Caught On The Fly" The Sporting News, October 25, 1890. While attendance figures for 1890 are unreliable, those for 1889 are not, and it is indisputable that the NL did not reach its attendance figures of 1889, which were 1,355,468. Equally without question is that the AA did not draw close to 1889's 1,576,254. Daniel Pearson, Baseball in 1889: Owners vs. Players (Bowling Green State University Popular Press: Bowling Green, Ohio, 1993), 159. "Caught on The Fly" The Sporting News October 18, 1890. Lee Lowenfish, The Imperfect Diamond-A History of Baseball�s Labor Wars (New York: Da Capo, 1991), 48. �News� New York Clipper November 11, 1890. �News From New York� The Sporting News October 18, 1890. "Ward and Spalding" New York Clipper December 20, 1890. "The Tripartite Committee Meets" New York Clipper November 1, 1890. Lowenfish, The Imperfect Diamond 48. �Loyal Al Johnson� The Sporting News November 15, 1890. "The Reasons For It" The Sporting News November 8, 1890. �The Players� League� The Sporting News November 29, 1890. �Three Clubs Sell Out�. The Washington Post; Jan 17, 1891; ProQuest Historical Newspapers The Washington Post (1877 - 1990) 1; �Base Ball Men Revolt� Chicago Daily Tribune; Feb 19, 1891; ProQuest Historical Newspapers Chicago Tribune (1849 - 1985) 6. �Al L. Johnson�s Life�. The Hartford Courant (1887-1922); Jul 4, 1901;ProQuest Historical Newspapers Hartford Courant (1764 - 1922) 9. David Stevens, Baseball�s Radical For All Seasons: A Biography of John Montgomery Ward (Lanham, Maryland: Scarecrow Press) 1998 186. �Death of the Brotherhood�s Backer�. Chicago Daily Tribune (1872-1963); Jul 7,1901; ProQuest Historical Newspapers Chicago Tribune (1849 - 1985) 19. Lowenfish, The Imperfect Diamond 60-65.